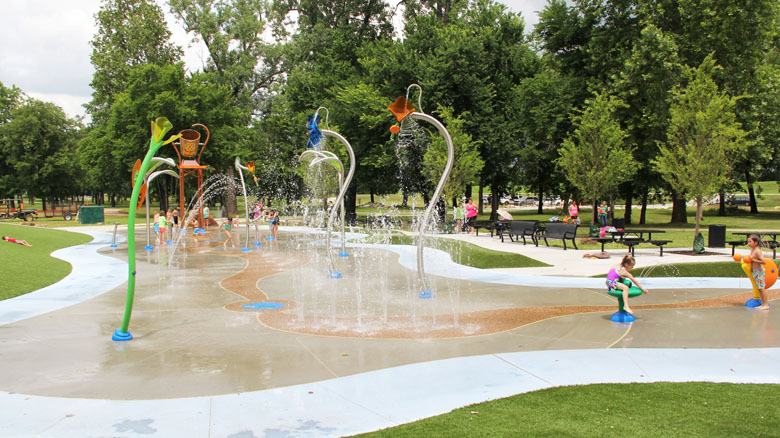 Long Awaited Splashpad Incorporates Nature Theme. 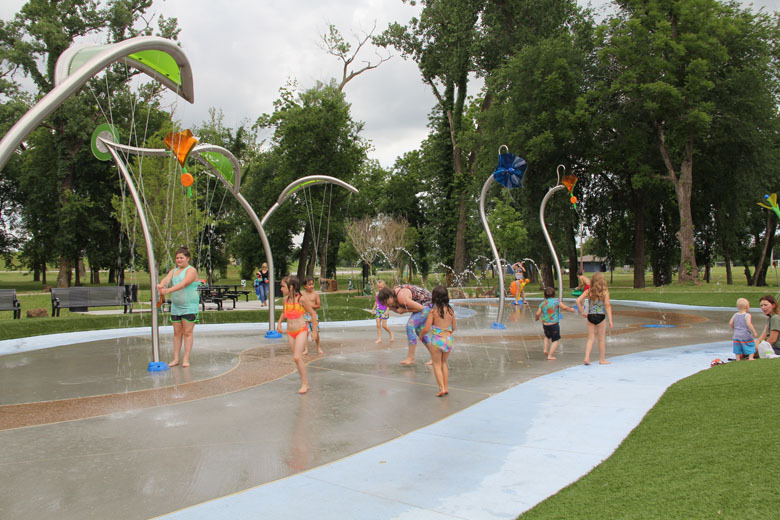 Following many years of planning and fundraising, the City of Sand Springs opened up two Splashpads in the summer of 2016, one on each side of the Arkansas River. 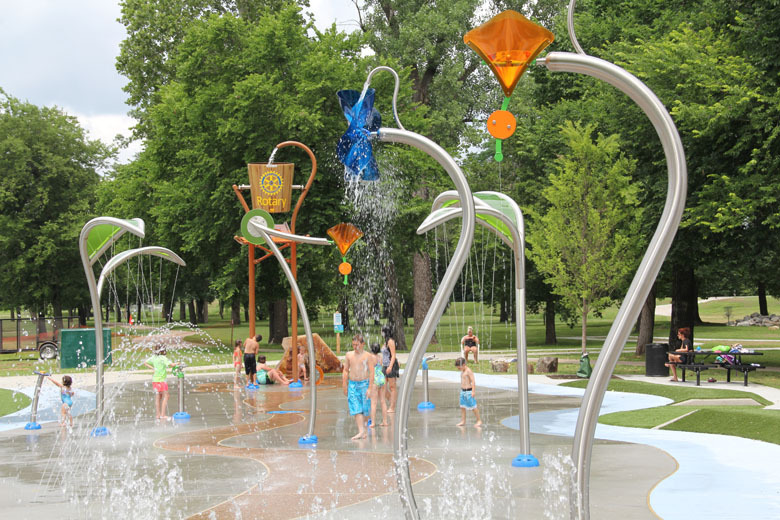 The long awaited River City Park Splashpad incorporates a unique river like design with nature themed above ground features. 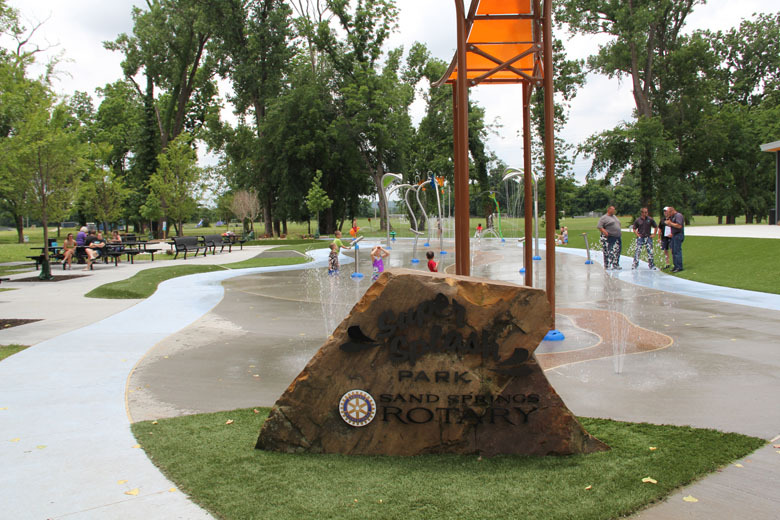 Thanks to generous donations from the Rotary Club and the Case Family, these projects were completed and the Rotary Club logo is displayed on the 20 foot Super Splash dumping bucket. 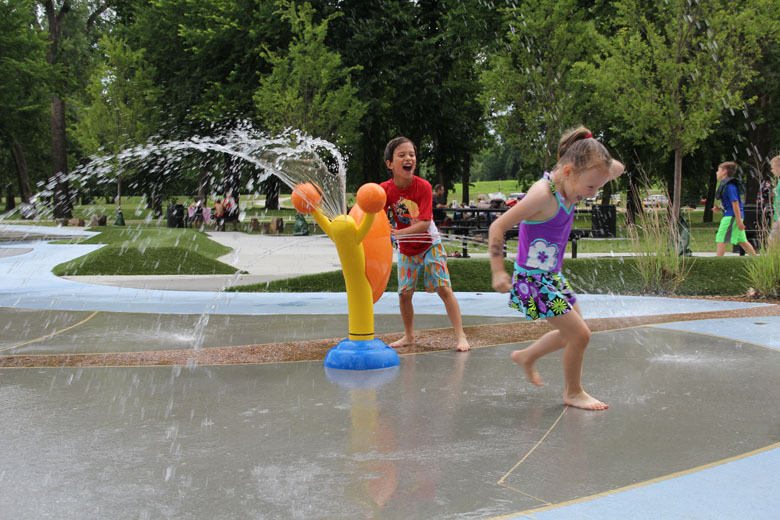 The 4,500 ft2 Splashpad includes 12 above ground features and 22 ground sprays. 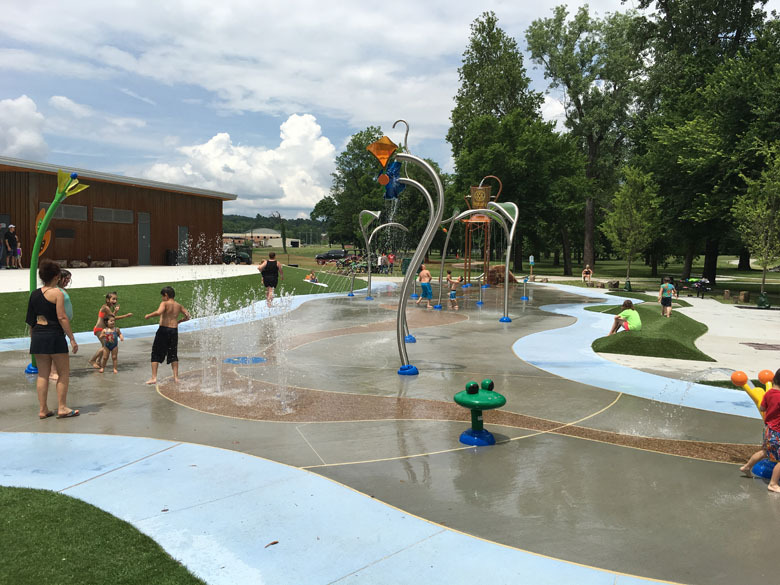 The focal point for the Splashpad is the giant Super Splash which creates lots of excitement as kids eagerly wait for the extreme soaking. 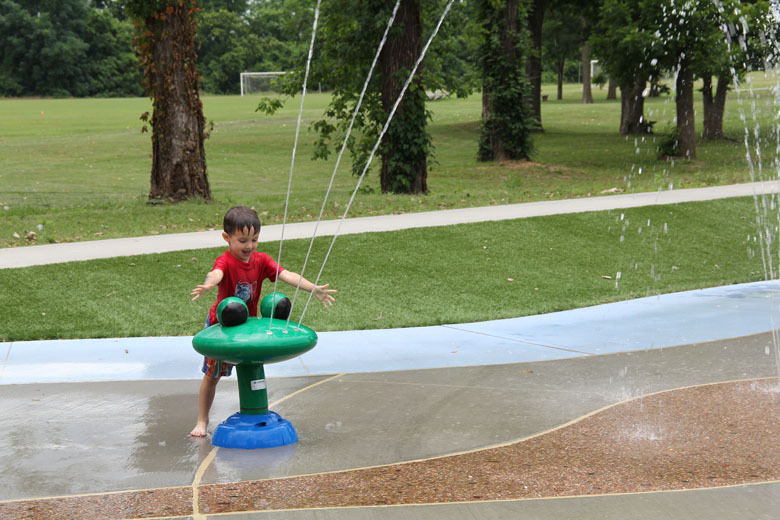 Other water features at this popular park include a Frog, Snail, Leaves, dumping and spinning Flowers. 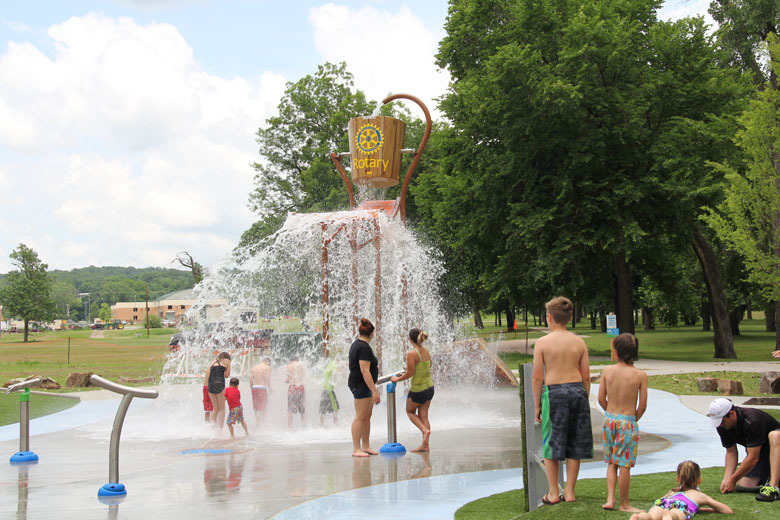 Three Water Cannons create an interactive area in the Action Bay and are popular with all ages. 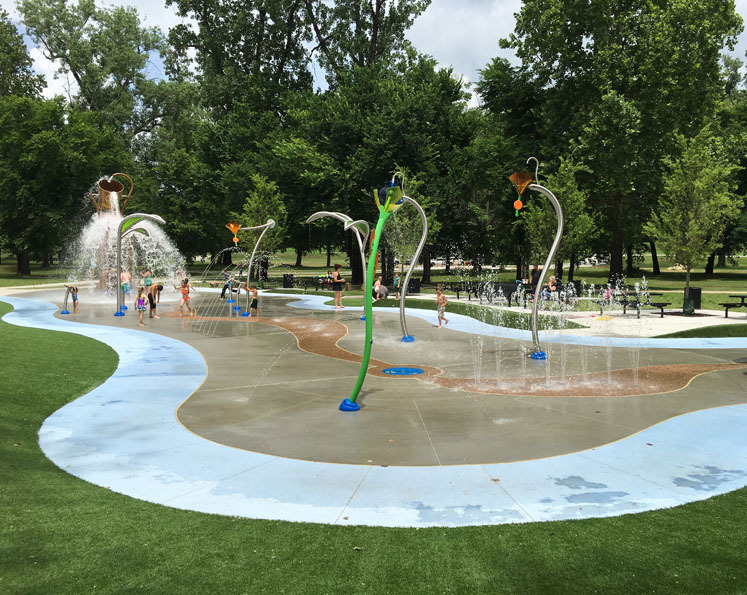 Many ground sprays such as Water Tunnels, Ground Geysers, and gentle Jet Streams are located throughout this beautiful Splashpad. 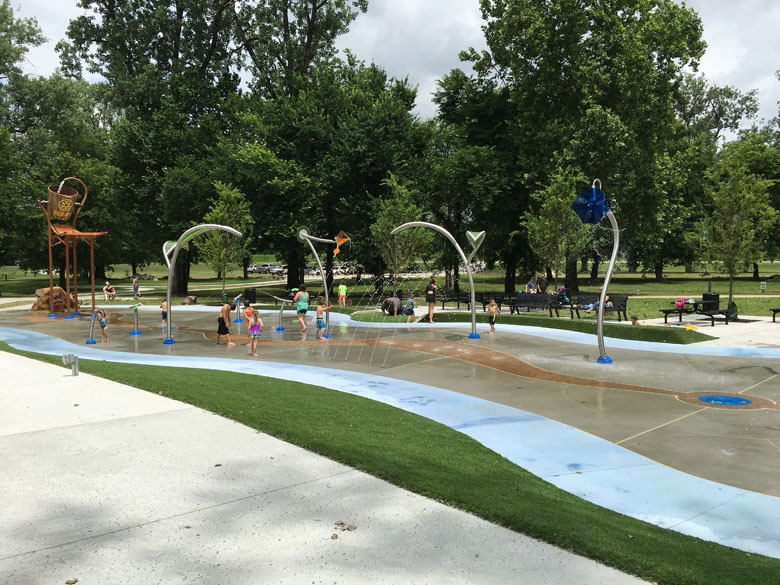 The Splashpad area also includes a large grassy berm perfect for parents to relax and watch their kids or for the little ones to take a rest. 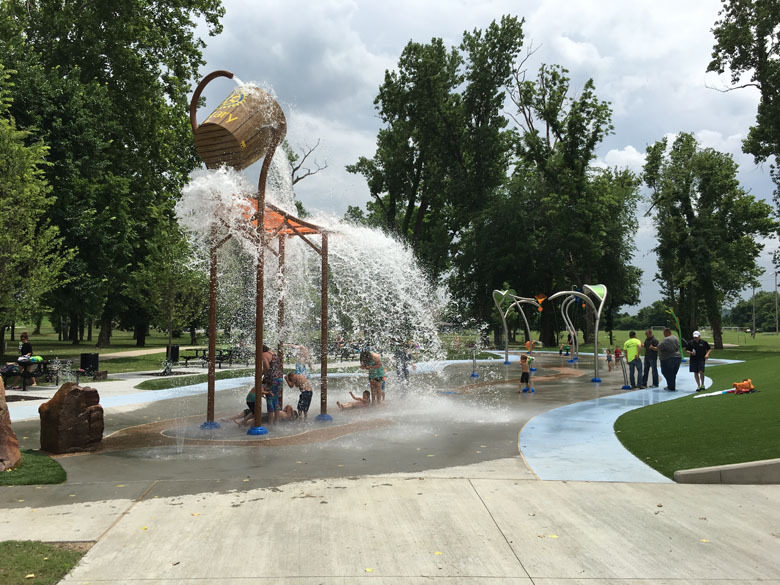 Trees provide plenty of shaded areas complete with benches and tables.